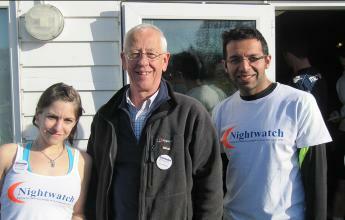 Two Nightwatch volunteers ran in the Croydon Half Marathon on Sunday 1st April 2012. 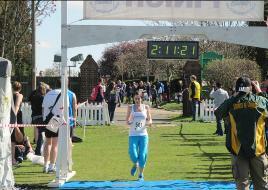 Congratulations to Dev Malhotra and Alana McCarthy for completing this event, sponsored by Streets Ahead. 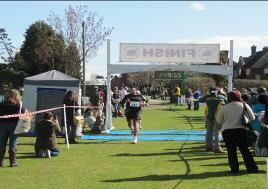 We are grateful also to Bob, Amir and others at Streets Ahead, and to the 750 runners who competed. More information on the event, including next year’s date, can be found here. We also continue to appreciate your donations via this site.